Are Emerging Social Networks Right For Your Brand? Joey Kotkins is the CMO and co-founder of Inside Social. This is an excerpt from Inside Social’s e-book on ecommerce social-selling best practices – a study of 100 top brands. We all know social networks are not to dismissed when it comes to modern day marketing, but should your brand even bother with emerging networks like Wanelo, Polyvore, Instagram or Snapchat? With a seemingly endless amount of social networks and new ones popping up all the time, it can be hard to determine which ones are worth the time and energy. Emerging social platforms have great potential for e-commerce brands. They’re a way for your existing fans to share specific products that they like with a large audience and for new people to discover your products with the help of an online community. However, they also have important drawbacks. As they are relatively young, they lack sophisticated analytics and have limited advertising opportunities, let alone advanced targeting capabilities. The emerging social platforms we’re considering fit into two key categories: 1) social commerce platforms, which includes sites like Wanelo, Polyvore and Fancy, and 2) emerging visual sharing platforms, such as Snapchat, Instagram and Vine. Even moreso than Pinterest, users come to these sights with intent to purchase. Because the community can only post products, users join these networks with a shopping mentality. According to digital marketing agency Silverbean, Polyvore accounts for 20 percent of all social conversions. Many forward-thinking brands have already seen success on these platforms. Organizational Attitude: These emerging social commerce platforms are exactly that: emerging. That means they’re still largely undefined marketing territories, but it‘s also where aggressive and innovative companies often create separation from their competitors. The downside is that many emerging platforms underperform and fail to develop their full potential. While this may not hurt the brand very much, creating, integrating, and maintaining a presence on the platform requires marketers’ and developers’ time. If your brand has an appetite for and seeks out the new and cutting-edge, these platforms are worth considering. Demographic Fit: Early adoption on emerging social platforms tends to skew towards younger generations. While Wanelo has no intended “target demographic,” the site is currently popular with Millennial and Gen Z females. As the network continues to grow, the company’s hope is that it attracts all demographics. If you want to be a first-mover on these platforms, it helps to match the current demographic. 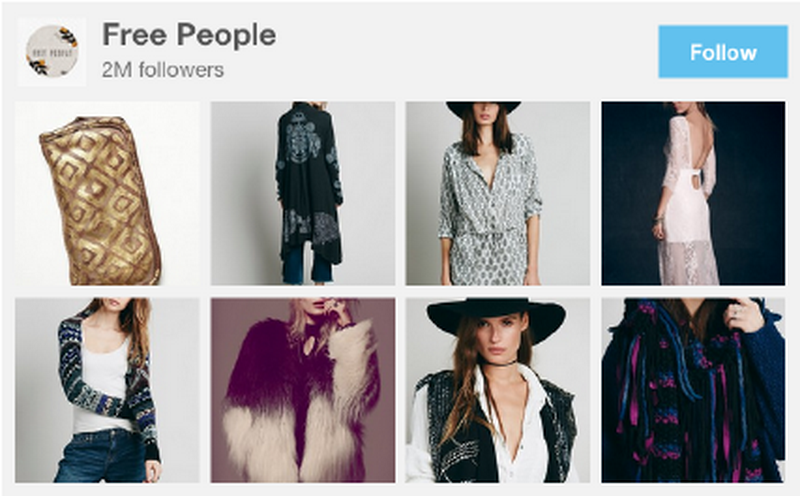 Free People, for example, has a great demographic fit and gained big and early traction on Wanelo. Its Wanelo store has over 2 million followers, 50 percent more than its Facebook page. Product Fit: Product fit is essential in the decision to use these social networks. As the newer networks are more visual, it makes sense that they lend themselves to products and services that are naturally suited for visual mediums. Fashion, beauty and lifestyle brands, for example, are especially well-suited for these networks. An interesting thing about these social commerce platforms is that there’s relatively limited brand-to-consumer engagement. On Wanelo, brands can encourage engagement by creating “stories,” which are collections of products built around a theme. On Polyvore, brands can create “sets” or “collections,” which are outfits or grouped products that consumers can browse. On both sites, interaction is heavily reliant on the consumer community, but the top brands are proactive and on-the-ball, making sure their newest and best products are on the network. These social commerce platforms have a tremendous upside as big drivers of sales. If your brand has a product and demographic fit, you should give these platforms a shot. Demographic Fit: If your customers are under 25, these social networks make a lot of sense. Snapchat and Vine are hugely popular among college-aged females. Instagram started with a similar audience, but has since grown to over 200 million monthly users and now has a roughly even gender split. If your brand has a young, female target demographic, these apps are likely where your audience hangs out. When cosmetics brand, NARS, unveiled its new Guy Bourdin collection last winter, it first teased the products via snaps to its followers. The campaign rewarded existing fans (early Snapchat adopters) with an exclusive preview, while also growing the hype around the product launch. That’s not to say brands that traditionally have other target demographics can’t succeed on these platforms. 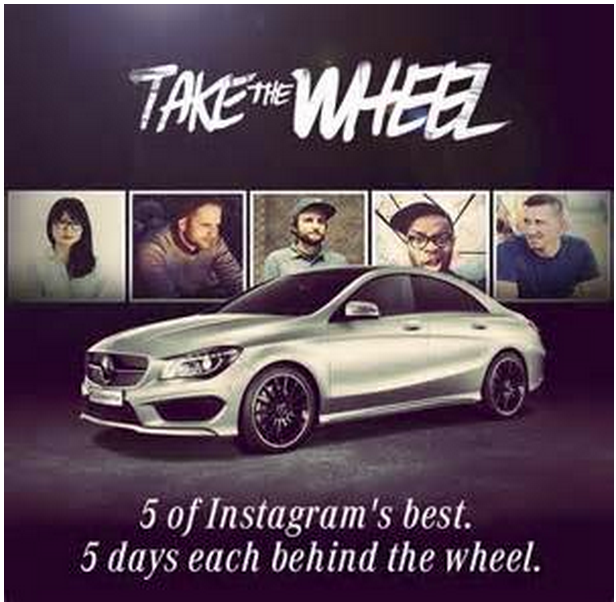 Learn from brands like Mercedes-Benz, who ran a successful Instagram campaign that, integrated with Facebook ads, increased site visits by 580 percent. Resources: Despite being just hobbies and time-killing apps for Gen Y and Z, marketing on these social networks takes a tremendous amount of effort. Snapchat is all about quick back-and-forth exchanges and the messages disappear, making it difficult to keep up with and keep track of each individual. If your brand can’t handle that, it may be a sign that it’s not for you. If you’re able to invest time and employees into developing smart strategies and maintaining an active presence, the potential benefits are massive. While car companies may not fit the mold of directly selling through social, because of their competitive environment and big marketing budgets, they’re often the first brands to innovate and experiment on social, making them great learning tools for marketing on emerging platforms. Honda’s #WantNewCar Vine campaign asked people to tweet at them with the hashtag. The company responded to the creative and funny ones with clever Vine videos. During the one-day campaign, Honda churned out 36 videos and the hashtag was used over 7,000 times. Thanks to the Vine responses and a fully integrated marketing effort, Honda reported a 20 percent bump in sales that July compared to the year earlier. Mobile Focus: Mobile has been a huge challenge for brands and marketers. Attention spans are short and display banners are performing poorly. These social platforms may be the solution. They’re almost entirely visual and natively mobile. If your strategy is to reach your audience on mobile, these are good tools for your marketing toolbox. Finally, if you decide to incorporate any of these emerging platforms in your marketing plan, make sure they are not siloed. Especially because they are still emerging, they need support. Help campaigns with a Twitter hashtag and a series of tweets, a Facebook push, and maybe even some traditional media integration. To find the best practices for social selling on Facebook, Twitter, Pinterest and more, you can find the entire ebook here.